Pixelhunters, 3D Artist, Chaos Group and Stylus Copywriting have lauched the first annual Middle East Talents Awards competition (META), an initiative of Dr. Ani Atanasova (CEO Pixelhunters), established in order to bring to light the enormous untapped and undiscovered creative talent that exists in the Middle East. The META competition is open to all artists located in the UAE, of any age or nationality. 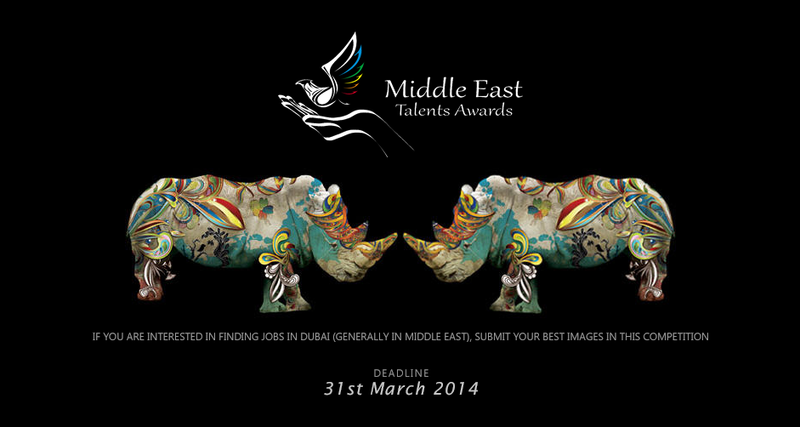 Those who are interested in an artistic or creative career in the Middle East are especially encouraged to enter. 7) Vision Expo 2020 in writing - Tell about your vision of a future Dubai with the power of your imagination so you can make the impossible possible—give your creativity free rein! The final deadline for submissions is 31st March 2014. The finalists will be announced on 1st May 2014.